Lake Shelbyville features some of the most scenic and fish-filled waters in all of Illinois. You will find everything from Largemouth Bass to Crappie to Walleye and White Bass. Ken Wilson Guide Service is prepared to put you on the fish. Regardless of your angling experience, you will enjoy a fully guided and equipped fishing trip. A guided fishing trip with ken wilson! 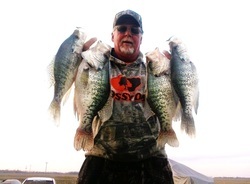 Ken Wilson has been a professional licensed fishing guide for over 20 years exclusively on Lake Shelbyville. 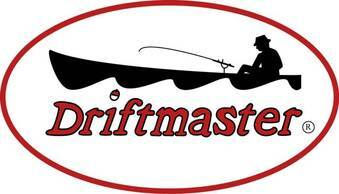 Ken has fished the Lake from its inception and has guided clients from all parts of the United States. Ken offers guided fishing trips year-round at Lake Shelbyville and Smallmouth Bass in the Kaskaskia River Basin below the Spillway and also at three nearby power plant lakes for some great winter fishing. Guided fishing trips allow you to enjoy the day, catch your limit and learn more about fishing from the best fishing guide on the lake and river basin. Ken is a weekly contributor for the Chicago Sun Times fishing report and is a monthly host for the radio talk show, "Let's Go Fishing" with Al Crooker. Ken and his wife Carol have three children. Carisa, Cailin and son Kenton are all high-achievers in Shelbyville schools and college and love volleyball and running sports. Kenton also shares Ken's passion for fishing and the outdoors in general, and he works at Lithia Springs Marina in the summer months. Ken and Carol just recently added to their family in 2013 with there first Grandson, Treyton. He is sure to spend countless days fishing on his Granddad's boat. Please include your reservation dates!